MP3: Elliott Smith – “Between the Bars” from An Introduction to… Elliott Smith, out November 2 on KRS. Originally on Either/Or. 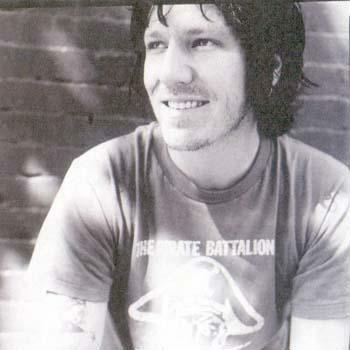 A new “best of” compilation is sure to disappoint longtime fans, excluding favorite songs, but this Elliott Smith collection looks like a pretty nice starting point for newbies, despite its obvious lightness on the Dreamworks era (XO, Figure 8). I’m happy KRS was able to license “Waltz #2 (XO)” since it’s arguably his best song. But to use the early version of “Miss Misery” instead of the finished version from the Good Will Hunting soundtrack feels a little disrespectful. It was cool to include it on the collection of outtakes, New Moon, but Smith was such a perfectionist when it came to his songwriting that I can’t imagine he’d be pleased to see this clumsy, unfinished version canonized on a compilation like this. Anybody ever hear Madeleine Peyroux’s version of “Between the Bars”? It’s got this super creepy celesta or something in it that’s the coolest sound I’ve ever heard. Love it love it love it.